Belfast’s Lord Mayor is travelling to London today, Thursday, to join the Lord Mayor of Dublin at a reception hosted by the Queen of England and the Duke of Edinburgh. The engagement is part of the State Visit to Britain by President Michael D Higgins. On Tuesday night deputy First Minister Martin McGuinness attended a state banquet at Windsor Castle held in honour of President Higgins, while West Belfast MP Paul Maskey was at Westminster, also on Tuesday, to listen to the President address both Houses of Parliament. Councillor Máirtín Ó Muilleoir was jointly invited to take part in the historic event alongside the Lord Mayor of Dublin, Oisín Quinn, by the President’s office. It will be the first time ever a mayor from Sinn Féin has met with or attended a reception hosted by the British royal family. “It is an honour to be included in this groundbreaking and historic visit aimed both at bringing the people in our two islands closer together and fostering reconciliation at home,” Cllr Ó Muilleoir said. “Along with the Lord Mayor of Dublin I am keen to promote that message of reconciliation and show respect for the unionist tradition in Belfast and beyond. “Despite the challenges this presents to me personally, I am determined to deliver on my pledge to be a Lord Mayor for all. In my work across Belfast, I have been deeply impressed by the many individuals and groups I meet every day who are reaching out and helping to build peace. “I hope my visit gives them the confidence to continue their bold work of bridge-building,” he added. 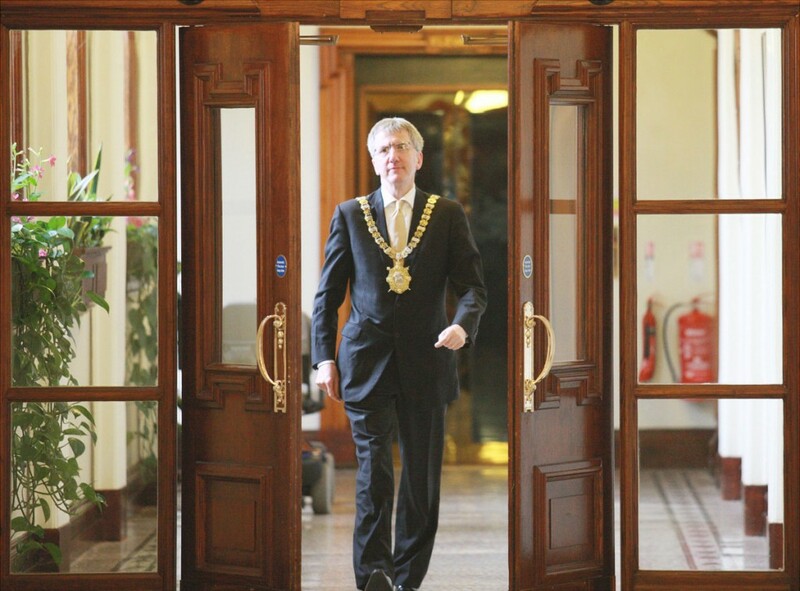 Belfast’s Lord Mayor is also planning to visit the Irish Centre in Camden tomorrow (Friday) during his visit to London. He will also visit Tourism Ireland offices in central London to be briefed on exciting plans to promote the city of Belfast internationally. As well as attending the reception this evening at Windsor Castle, the two Lord Mayors will be part of the audience at ‘Ceiliúradh’, a celebration of Irish culture in the Royal Albert Hall.